The International Water Conference® (IWC) is a strong educational conference, founded with an emphasis on commercial free discussions on technology. The IWC presents the latest in scientific advances and practical applications in this field, cutting across a wide range of industries, technologies and functional areas. As the preeminent international technical forum in the field, the IWC brings together end users, researchers, practicing engineers, managers, educators, suppliers and contractors. 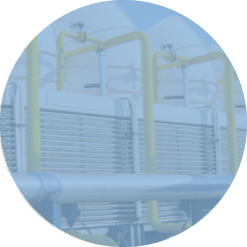 It is dedicated to advancing new developments in the treatment, use and reuse of water for industrial and other engineering purposes. 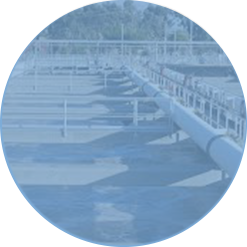 Attendees come to learn unbiased details about the latest applications available in the industry, get educated on current technology and hold wide ranging discussions with their peers active in water treatment. Scottsdale, Arizona, November 4-8, 2018. The 2018 International Water Conference ® brought together almost 900 end users, researchers, engineers, educators, suppliers, and contractors from more than 15 countries to learn unbiased details on the latest applications in industrial water and wastewater treatment. Networking throughout the conference gave attendees the opportunity to hold wide ranging discussions with their peers active in the industry. The Conference opened on Sunday with the return of the IWC Golf Outing, played this year at the Talking Stick Golf Club, host resort for the Conference. Later that afternoon, attendees attended the Continuing Education Workshops, and visited the Outdoor Exhibit Hall, and Get Acquainted Reception. The Golf Outing and Outdoor Exhibit Hall were new to the conference, pleasantly surprising attendees. Another new addition in 2018 was the “H20 Theatre”, offering companies the opportunity to present information about their services outside of our traditional technical sessions. In addition, an “Idea Board” was added for attendees to communicate their thoughts in real time! The final addition to the 2018 Conference was a TopGolf Outing on Wednesday evening. Over the five-day conference, 75 technical papers and 18 Continuing Education Workshops were conducted. All are carefully peer reviewed for quality and to ensure they are non-commercial. Each paper presentation at the IWC is followed by a prepared discussion, a thoroughly considered review on the topic, followed by an open discussion when all audience members and presenters can fully interact, ask questions, seek clarification, and raise alternative viewpoints. Topics included Membranes for Mining, Produced Water Management, Water Management for Power Plants, Desalination, FGD Blowdown, just to name a few. You can see the full offering by clicking in the “On-Site Guide: link above. On closing, we want to thank all the attendees, sponsors, and committee members for contributing to a successful conference and we hope to see you for the 80th Anniversary of the International Water Conference, scheduled for November 10-14, 2019 at the Hilton Lake Buena Vista in Orlando, FL, USA. To keep up to date on the IWC, join our e-mailing list, click here.